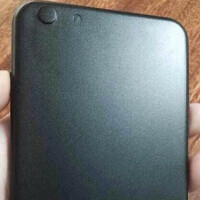 A picture of a black mold, believed to be used to produce prototypes of Apple iPhone 6 cases, was posted on a Chinese Apple forum. From there, it was spotted by a French site. Based on the features of the mold, the Apple iPhone 6 will take its design cues from the Apple iPad Air and the Apple iPad mini with Retina display.